Enjoy your granite in its best possible condition! 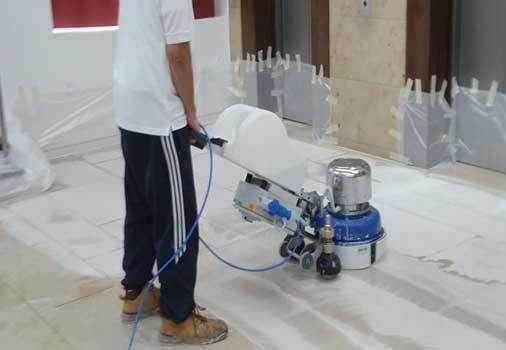 Welcome to Australia's leading tile care company, specialising in the restoration, polishing, sealing and maintenance of granite and all other natural stone and man made surfaces. We take pride in the quality and professional services we provide our valued customers and are committed to exceeding your expectations. If your granite has become faded from scratches, dirt or exposure to the elements, Tile Cleaners Brisbane® technicians can professionally restore your granites natural beauty. Granite delivers breathtaking beauty unmatched by synthetic materials and a very high level of durability. When polished the natural colours of granite are enhanced, making the stones qualities more noticeable. 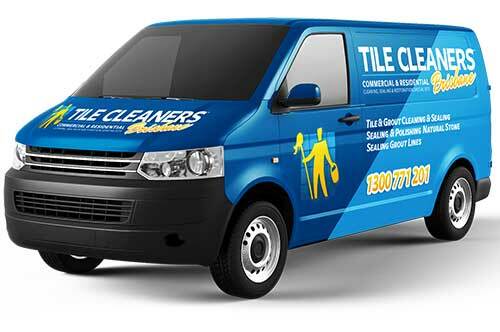 Tile Cleaners Brisbane® restore granite flooring, stair treads and counter-tops, wall coverings, sinks and basins. Our passion for achieving outstanding result and our commitment to educate our customers on proper maintenance is evident with every job. If you have a granite floor, wall, countertop vanity or shower area that has become etched, has lost its shine and beauty or is in need of repairs, then it is time to call the granite restoration professionals. 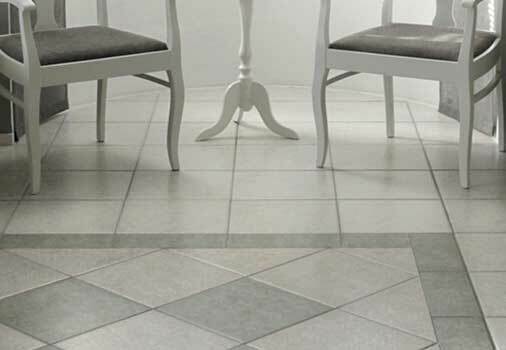 Tile Cleaners Brisbane® serve all suburbs and can repair, refinish, protect and restore your granite or any other natural stone back to its original condition. Most scratches and light stains can be completely removed. As years go by, many fine granite surfaces will become scratched. Our team use the most modern equipment to restore years of wear and tear, bringing even the most tired and scratched granite back to life. 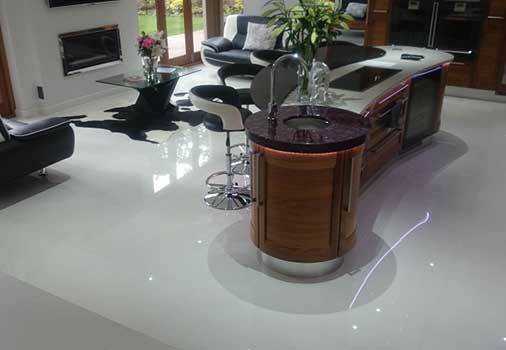 With our expertise in granite polishing processes, and modern equipment, having your granite floors restored today is more affordable than ever. Let our experts fix the damage! 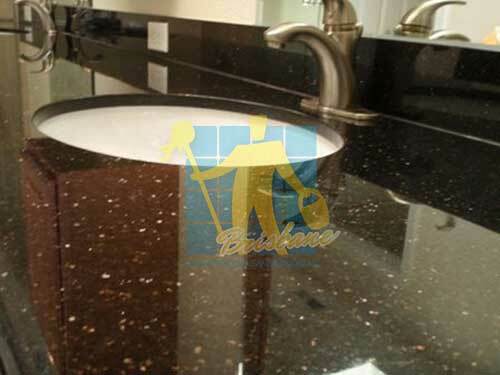 We offer our granite polishing service to corporate and private clients. Our experience and superb quality of work have made us well known within both commercial and domestic markets. 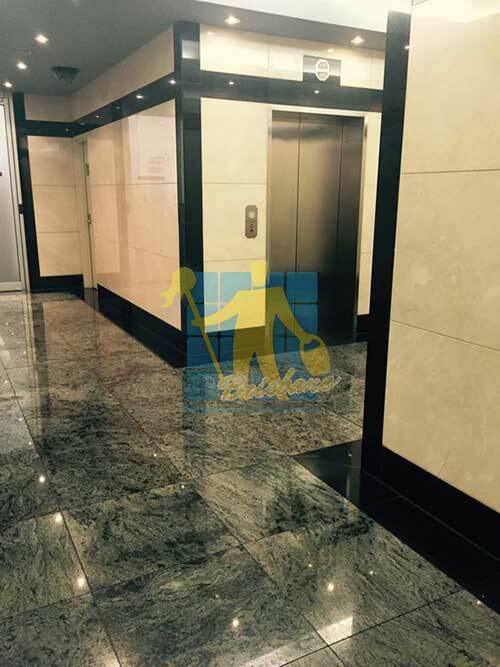 We specialise in various aspects of granite floor maintenance such as cleaning and polishing, granite restoration, granite honing, granite sealing and much more. Granite is one of the most beautiful surfaces available for the home or office. A regular maintenance program is vital if granite is to retain its original beauty. Granite although a fairly strong material should be sealed with a quality penetrating impregnating sealer such as Deepshield® Gold, based on the latest fluoro-bond technology, which cures deep inside the pores of the stone leaving an invisible protective barrier that will result in maintenance becoming much easier. 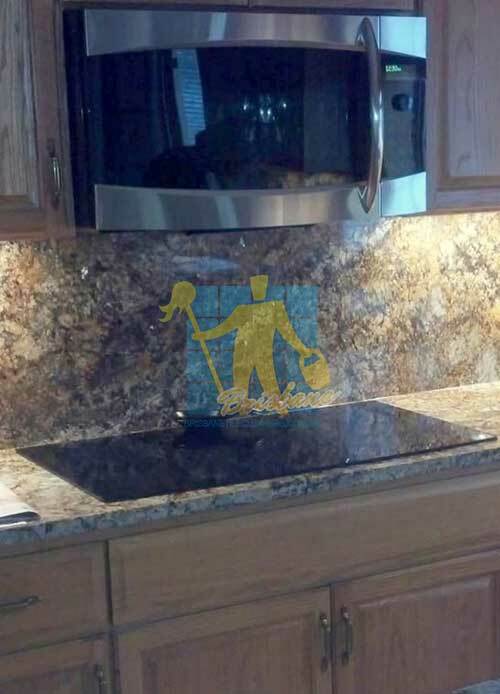 Unsealed or weakly sealed granite will soak up oils, spills, and stains. To check whether your granite is sealed, leave a few drops of water on the surface. If after a few minutes the water has soaked into the granite, then it's time to reseal the stone. Spills should be cleaned immediately. You should generally use only warm water and a mild detergent on your granite surfaces and never use vinegar on granite. The acid in vinegar can seriously damage and actually etch and remove the surface of granite. After mopping, dry the surfaces with a cotton towel or use a sh-mop to remove the moisture and prevent water spots. Always dry your granite floors as they can spot very easily. 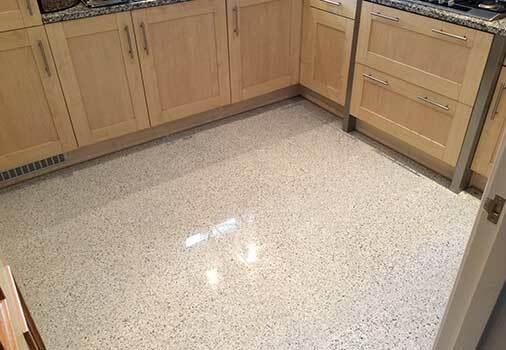 A deep penetrating impregnating sealer will protect your granite from water and oil based stains by chemically bonding with the surface pores leaving a long lasting, breathable protective barrier. An impregnating sealer results in easier regular cleaning while protecting your granite surface and grout from absorbing stains for up to 15 years. 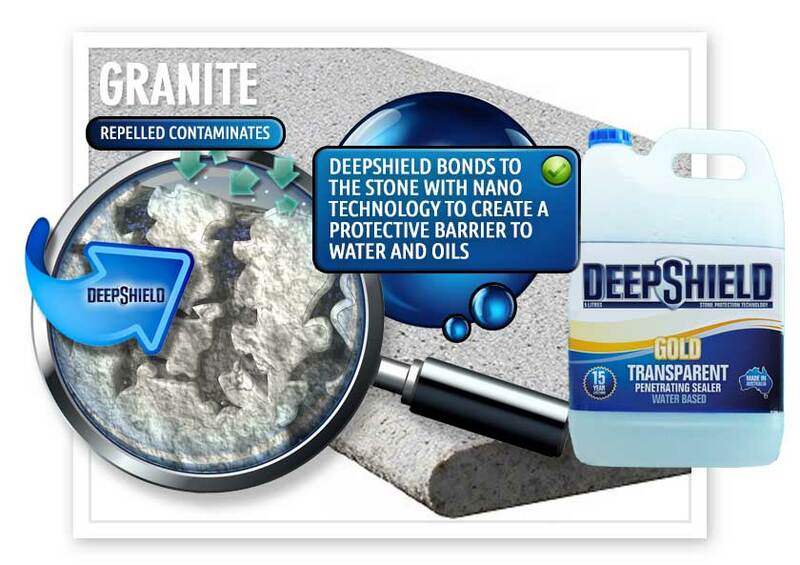 Tile Cleaners Brisbane® are proud to be accredited applicators of Australia's Deepshield™ Gold based on the latest fluoro-bond technology and specifically engineered for denser surfaces. 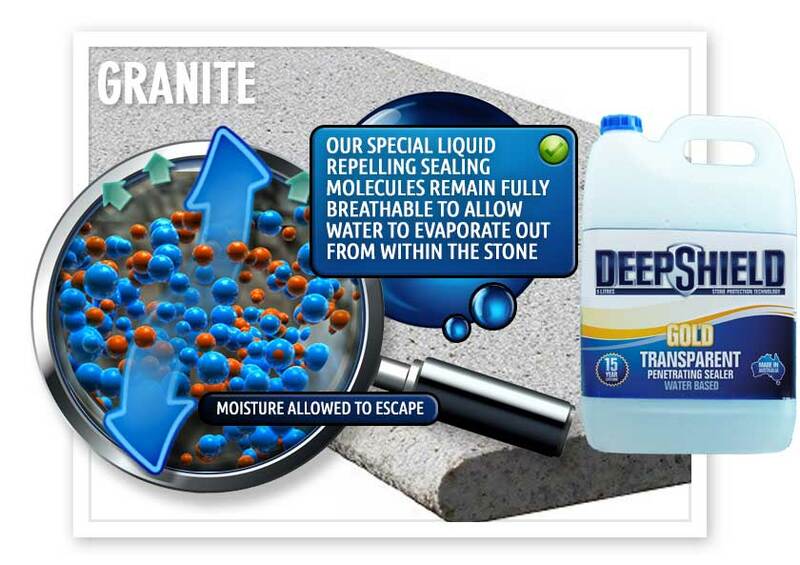 A penetrating impregnating transparent sealer enters the pore structure of your granite and once cured, will not alter the appearance of your granite tile or stone. 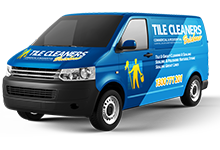 Tile Cleaners Brisbane® technicians are experts at applying all types of sealer and will ensure your granite looks its absolute best. Our technicians can apply a topical sealer when especially required to create a high gloss, satin sheen or matte finish to your surfaces. 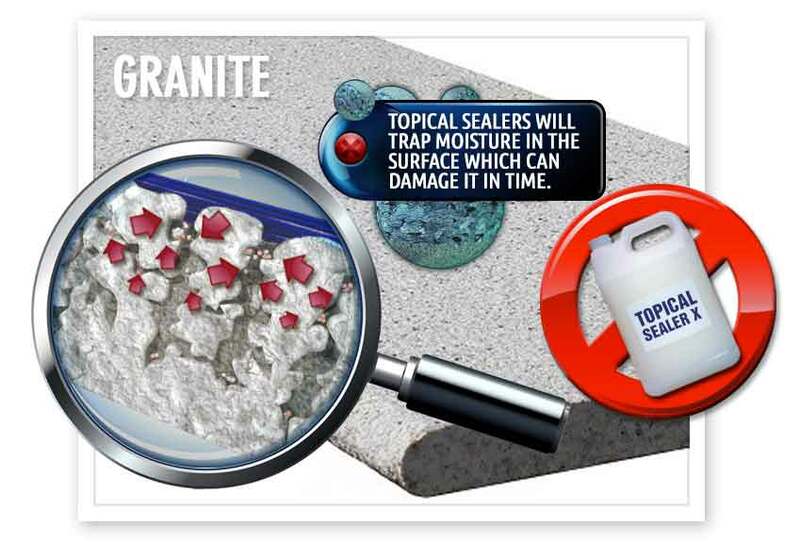 Topical sealers can also helpful in situations where your old solvent based sealer can't be completely removed or when required to hide certain types of damage. 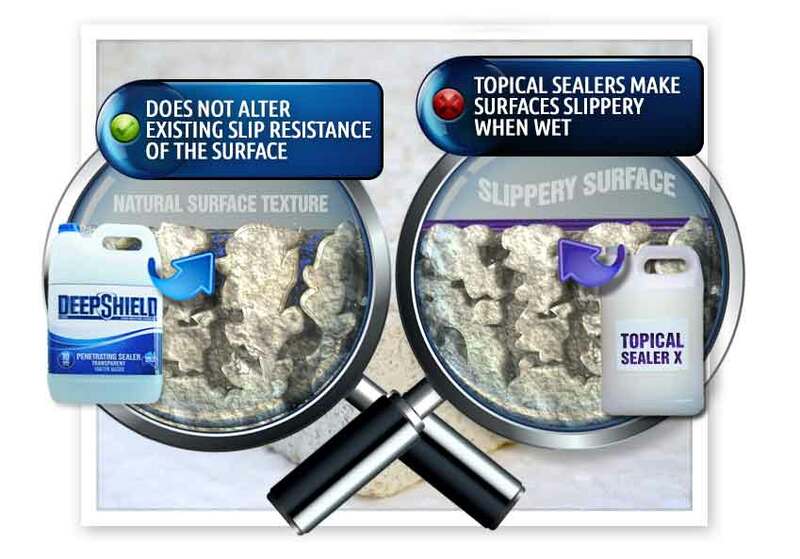 Topical sealers usually have a life expectancy of around 3 years. 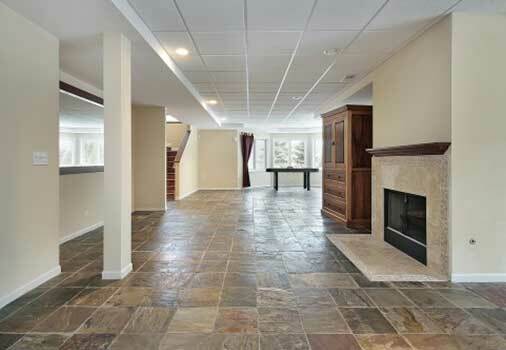 Q: How do I know when my granite floors require polishing? 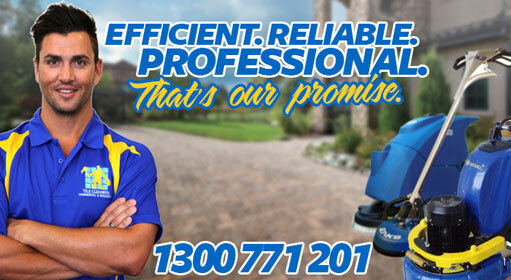 Q: What different types of granite tiles do Tile Cleaners Brisbane® polish? Q: Is it safe to have my granite polished? Q: How will you charge me for polishing my granite surfaces? Q: How do I measure the size of the granite area? 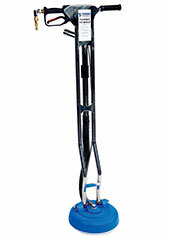 Q: What should I do to prepare for the granite floor polishing?